Kick off your visit on the 16th (Thu): tour the pleasant surroundings at Moffat Beach, then have some family-friendly fun at South Bank Parklands, and then contemplate the long history of Victoria Bridge Abutment. Here are some ideas for day two: identify plant and animal life at Lone Pine Koala Sanctuary and then get great views at Mount Coot-tha Lookout. 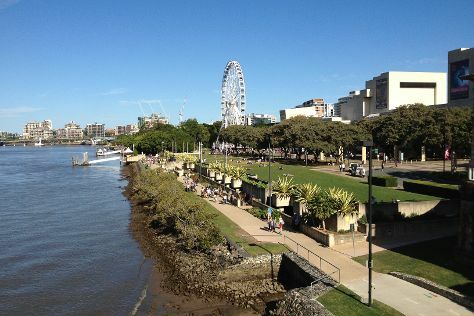 To find traveler tips, maps, photos, and tourist information, you can read our Brisbane trip itinerary planner. Chennai, India to Brisbane is an approximately 17.5-hour flight. Traveling from Chennai to Brisbane, you'll lose 4 hours due to the time zone difference. Traveling from Chennai in May, things will get cooler in Brisbane: highs are around 27°C and lows about 15°C. Wrap up your sightseeing on the 17th (Fri) early enough to travel to Sydney. 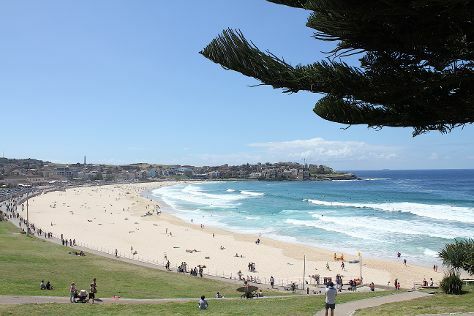 Attractions like Bondi Beach and Australian National Maritime Museum make great kid-friendly stops. Spend the 20th (Mon) exploring nature at Sydney Harbour National Park. There's lots more to do: hike along Bondi to Coogee Beach Coastal Walk, enjoy the sand and surf at Manly Beach, wander the streets of The Rocks, and take in nature's colorful creations at The Royal Botanic Garden. For traveler tips, maps, photos, and more tourist information, use the Sydney online vacation planner . Traveling by flight from Brisbane to Sydney takes 4 hours. Alternatively, you can do a combination of bus and flight; or drive. May in Sydney sees daily highs of 24°C and lows of 14°C at night. 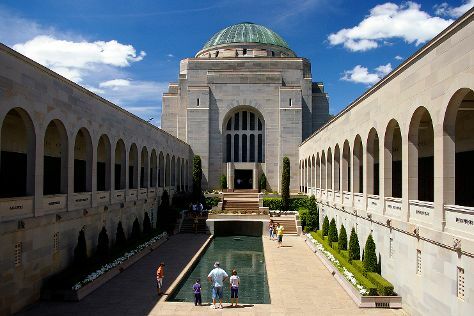 Finish your sightseeing early on the 22nd (Wed) to allow enough time to drive to Canberra. Kick off your visit on the 23rd (Thu): get curious at Questacon, get engrossed in the history at Australian War Memorial, and then take in the pleasant sights at City Walk. To find ratings, reviews, photos, and more tourist information, you can read our Canberra journey planner . You can drive from Sydney to Canberra in 3.5 hours. Alternatively, you can fly; or take a bus. In May, Canberra is slightly colder than Sydney - with highs of 19°C and lows of 2°C. Finish your sightseeing early on the 23rd (Thu) to allow enough time to travel to Melbourne. Kick off your visit on the 24th (Fri): admire nature's wide array of creatures at Melbourne Zoo, see the interesting displays at Melbourne Museum, and then admire the landmark architecture of Royal Exhibition Building. Get ready for a full day of sightseeing on the 25th (Sat): contemplate the long history of Old Melbourne Gaol, then get your game on at Zero Latency, then take in panoramic vistas at Eureka Skydeck 88, and finally admire the natural beauty at Royal Botanic Gardens. To find other places to visit, photos, where to stay, and other tourist information, go to the Melbourne online attractions planner . Traveling by flight from Canberra to Melbourne takes 3.5 hours. Alternatively, you can drive; or take a bus. Traveling from Canberra in May, Melbourne is a bit warmer at night with lows of 9°C. You'll have a few hours on the 26th (Sun) to wrap things up before traveling home.